UPDATE: March 6 2017. I wrote this piece in 2014. More evidence has emerged, and more will, and I find my response has not changed. I’m almost afraid to write this post. Which means that I must write it. 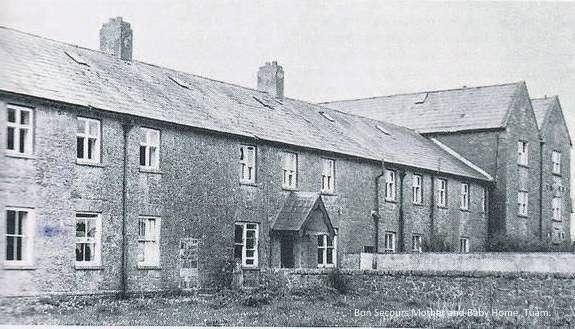 For the last week there’s been growing outrage at the discovery of the bodies of children and babies who died between 1925 and 1961 in a mother and baby home in Tuam, Ireland, under the care of the Bon Secours nuns, and are said to have been disposed of in a septic tank. This is the latest in a series of disclosures about the appalling treatment of women and children committed to the care of religious orders with the sanction of the Irish state. In a generation shaken by current recession and contemporary financial and political corruption stories, fury about this new evidence of past depravity is increasingly being directed at the apparent hypocrisy and inhumanity of the parents and grandparents in previous generations who ‘must have known’. Because there were, of course, people who knew. The families of the women and girls who were consigned to virtual prisons to hide the perceived shame of their pregnancies and illegitimate children. The individual nuns, priests and brothers who abused those in their care. The politicians and civil servants who allowed and supported the system.The members of the police force who assisted in tracking down escapees from institutions where effectively they were used as slave labour. The medical professionals who attended the inmates. Those who allegedly failed to register deaths lawfully. And whoever it was that dispatched those dead bodies to their graves in Tuam, and to all the other graves up and down the country where adults, children and infants were buried without decency or respect. In a statement on the revelations about the Bon Secours Home in Tuam, Fr. Fintan Monaghan, secretary of the Tuam archdiocese, has said that he supposes “we can't really judge the past from our point of view” Because that statement’s emanated from a church source, it’s easy to dismiss it as a despicable attempt to justify a culture of abuse. And perhaps it is. But it’s also true. And despite the fact that we’ve heard it from the spokesman of a Church that’s forfeited all right to moral authority on this matter, it mustn’t be excluded from the informed, compassionate debate about the setting up and development of the Irish state which, in my view, Ireland is desperately in need of. Whoever the statement’s made by, the fact remains that we can’t judge the past from our own point of view if our own point of view is uninformed. Nor can we understand or learn from it. To do that – and we have a responsibility to do that – we must study what happened in the past in its context. Otherwise we’ll simply add more layers to the lies and misinformation that we need to strip away. I see little difference between the old myth that portrayed Ireland as an island of saints and scholars and the new myth that portrays our parents and grandparents as hypocritical, priest-ridden snivellers. Each myth is as dangerous as the other because neither expresses the whole truth, and both are rooted in complacency. I don’t know if the whole truth about anything can ever really be revealed. But I do know that, as well as seeking facts through rigorous investigation, if we're to achieve any kind of justice for those abused victims and survivors, we’ve got to sweep away all lies, question all soundbite assumptions that masquerade as history, and engage in something far more dynamic than blame. Of course people knew about the Magdalene Laundries, the Mother and Baby Homes and the Industrial Schools. And, just as there were different levels of active cruelty or criminality, there were different levels of knowledge. The task of understanding those different levels, and what each meant in terms of responsibility and culpability, begs so many questions that it’s hard to find a starting point. Maybe when a society’s been poleaxed by communal shame and blame the best way forward is for its members to seek individual starting points of their own. Here’s mine. I knew about the Magdalene Laundries. There were two near where I grew up in Dublin in the 1950s and 60s. And another – or perhaps a Mother and Baby Home like the one in Tuam – round the corner from my granny’s house in Wexford. I doubt if I asked many questions about them but I do remember being told as a child that they were refuges for poor girls who were in trouble and needed help. I was told that by my mother. I believe that she believed it to be true. I know that when she was desperately seeking home care for my elderly granny, who’d otherwise have had to be institutionalised, she went to the nuns down in Wexford for advice, and that two gentle, friendly girls were sent round each day to help granny with the housework and the shopping. I know, because I remember tensions about the strain it put on the family budget, that they were paid by the hour. Looking back now, I doubt if they ever saw a penny of their wages. I don’t know if my mother knew that then, but I suspect that if she did she might have said it was fair enough, since the nuns were feeding and clothing the girls, finding them work and giving them shelter. If my mother did think that I don’t blame her. She lived at a time when jobs were prized and food, clothes and shelter weren’t easy to come by. Nor do I think she should have checked up on where the wages went, or asked to see the girls’ accommodation. 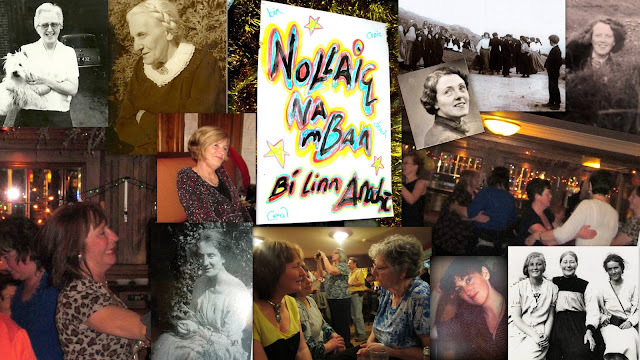 She’d had no negative experience of nuns in her own life; she had five children at home, a husband whose work took him to the other side of the country, and no way of making arrangements for her ageing mother except physically to get on a train and travel from Dublin to Wexford. Life in Ireland was like that then. People were grateful to turn to the Church for help in practical as well as spiritual matters, largely because they had few other safety nets. We need to understand why that was so. Otherwise we’re in danger of wallowing in recriminations till the point when we tire of the story and sweep it back under the carpet. My parents’ generation was born before the 1916 Rising and grew up during the War of Independence and the Civil War, bloody conflicts which cast long, traumatic shadows. As young adults they lived through the maelstrom of possibilities attendant on the setting up of the state, one of which was potential descent into social chaos. An economic war with England crippled Ireland’s emerging economy until 1938.My parents' married life began in a battered, exhausted, impoverished society which was protected from the worst horrors of the Second World War by Ireland’s neutrality – a policy which also condemned Irish society to both isolation and isolationism. The combination of political isolationism at home and authoritarianism in the Vatican resulted in widespread censorship in Irish arts and journalism. Ireland’s rural poverty was extreme and its urban slums were notorious. TB and Polio were rife. Infant mortality was high. The country’s infrastructure was underdeveloped and underfunded. Both education and medicine continued to be underpinned by Church schools and hospitals. Jobs were scarce and, from the setting up of the state to the 1960s, spiralling levels of emigration and economic migrancy were steadily undermining both community and family life. This was the climate in which the Catholic Church gained what we now know to be a deeply unhealthy influence on the working of the state. And it was a climate in which society’s perception of both the Church and its functions in society were very different from what they are today. The support of the Church of Rome had made a huge difference in the fight for Irish independence. Throughout the nineteenth and early twentieth centuries religious orders provided healthcare, education, and, therefore, opportunities for advancement for thousands of men and women who would otherwise have lived and died in poverty. In the early years of Ireland’s independence, religious societies like the St. Vincent de Paul provided financial and social services which the state couldn’t afford. None of this justifies the arrogance, cruelty, ignorance, and perversion of Christian values which led to the horrors of places like the Bon Secours Home in Tuam. None of it changes the ghastliness of the Church’s continued arrogance, insensitivity and apparent contempt for the rule of law. But nor does that ghastliness cancel out facts. If the majority of Irish people had an exaggerated regard for the Church, at least some of that regard was rooted in a justifiable sense that the religious orders had supported them, practically and spiritually, across centuries of colonial neglect. When I sat down at my computer I was almost afraid to write this. I wanted to join the wave of outrage, not to swim against it. I was afraid that anything positive I said about Fr. Monaghan's statement would read as an endorsement of a Church whose continued claims to moral authority I despise. I still fear that. And like everyone else today, I feel complicit and ashamed. But fear and shame are the very emotions that were bred in us by the systems that created this hidden poison. And silence is what permitted it to grow. I am so glad you wrote this. This past week I've been mostly shocked by all the expressed shock! - at unmarked graves and poor health provisions, especially. My maternal grandparents lie in a rural Catholic cemetery but in unmarked graves (other family members lie in the same graves so maybe gravestones were delayed until the limit of five bodies was reached in each). My mother, as a young child in the 20's, was hospitalized in a County Monaghan 'fever hospital' with diphtheria and had to share a bed. An adult woman and toddler boys were in the same room. Mother's family on both sides were reasonably well-off - through their own efforts - but yet she lost young cousins to 'consumption'. Her own mother, an aunt and an uncle were taken by the Spanish Flu pandemic. Life was not easy for most families in the first half of the 20th century, regardless of their situation. That does not excuse neglect or mistreatment by anyone, but I agree that revelations such as the Tuam babies' fates should not be viewed through contemporary eyes only. Thank you. I think it's hard for the present generation to conceive of the levels of poverty and health care that prevailed, or the authoritarian nature of a socially, politically and economically shaky society during and after civil war. My family too was reasonably well off. My father was a university professor but I remember how doctors' bills, or any unexpected crisis, placed huge stress on the family budget. To most people then, the idea of credit or loans (other than a mortgage) was anathema because of the fear of falling in arrears. We had no car, fridge or television till I was in my teens. As the youngest in the family, all my clothes were hand-me-downs till I went to university, when I began to make much of what I wore myself. I clearly remember the first loo paper (as opposed to cut up squares of newspaper) that we had in the house when I was a child and, given how we all hoarded twine, rubber bands and wrapping paper, melted down ends of soap with boiling water for use as washing up liquid, and so on, everyone I knew would have been seen as eco-warriors today. And I recognise your stories so well. I remember relatives confined to TB hospitals as toddlers whose parents were forbidden to visit: and when my sister was in Clonskea fever hospital my pregnant mother, refusing to be separated from her, had to battle to be allowed to spend several weeks confined there herself, sleeping on a chair by the bed. This was partly mindless regimentation, but it was also about honest attempts to contain infection at a time when epidemics were a constant and serious threat. As you say, none of this excuses neglect, mistreatment, or state connivance in lawbreaking and, as citizens, I believe we have a responsibility to seek justice for the abused in our society and to demand prosecution for criminal acts. But in seeking justice we also have a responsibility to inform ourselves of facts if we're to learn from the past. I have a very different memory of the Catholic Church. I can name off the 'good nuns' on one hand. I have only met one priest I ever had respect for in Ireland. Maybe we've always had the worst of them in Mullingar. I also knew from an early age that the guards were not the people to go to if you wanted help. I trusted neither guards nor Church based on their attitudes & actions. The Church milked people for every penny they could get. The guards backed them up. No eulogizing your mother is allowed in our parish. The priest takes notes and talks from the altar as if he knew the person all his life. I went to my mother's graveside later and yelled to the sky, to her: You deserved better! They all did. 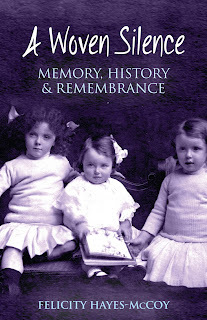 All the women of Ireland and their children who went through hell. All who were their victims. The Church treated our ancestors like dirt. No, worse than that. They did not disdain dirt. The Cathedral in Mullingar was funded with pressure on people who couldn't afford to feed their own families. I had hand-me-downs too and we had the squares of newspaper and sheets made from flour bags and all that. Mt uncle had TB and survived. He left the country. I find it hard that generation after generation has dealt with the Church's control of society and getting away with crimes because they were & are seen as above the law. My mother and hers and hers and hers must have hoped it would all be different for their daughters. We're still waiting. A democracy is needed. Not a theocracy. No church should have control of state schools. My mother was ultra conformist because she was afraid. And she was right to be. She knew the power they had to make my life miserable. I remember a priest coming to the house & she had to show him the 'right' Blessed Sacrament picture in every room. He was shown upstairs too. He insisted. Jesus with his open wound of a heart had to be looking down on the marriage bed. He invaded our house and intimidated her. I was young but I understood that there was an abuse of power going on. No point in calling the guards about it. We all knew that. This is the essence of the problem. Your mother should not have had to do battle for her basic right to be with your sister. Human rights were gone in Ireland replaced by a nasty oppressive regime that is guilty of horrific crimes. I am glad you wrote what you did and acknowledge it is part of the story. None of it excuses crimes and abuse. I stand firmly on the side of the boy who was torn apart inside when being raped, on the side of the mothers who wailed as their children were stolen from them and sold and those who ache still today as they yearn for their lost children. I saw pressure to pay the Church at its worst at funerals when the priest obviously cared damn all for the one who died. The priest's job there that day was to intimidate people into leaving a pile of notes beside the coffin. I remember a priest stopping a man and telling him to give more. People filed around that coffin like sheep and all respect for the dead was gone replaced by fear and Church greed. I was young but I saw it and I remembered it. How could I forget it? It was very, very wrong. We should not seek justice. That will get us nowhere. For the sake of all the victims and justice itself we must demand it. I have many, many facts as do most people my age. There's no shortage of facts or skeletons or crimes to prosecute. And the young people of today are still being led astray and denied their rights by a Church controlled society. It wasn't just back then. The shame is still in the Catholic ethos. It's clear you did not feel the oppression and that is a blessing. I'm glad. But we who have a voice and understand must speak up for those who have no voice. I'm glad you wrote this too. Each of us has to speak up because crimes, cruelty, ignorance and abuse of power flourish in a a climate of fear. I tried hard to use temperate language when I wrote this post because all my instincts are to howl in anger and shame. Since reading what you wrote I've been wondering if I should have used the words 'demand justice' rather than 'seek justice'. I could edit those words now but, on reflection, I won't. I think that what I've said has its place. But what you say must be said too, and, as we've both said, nothing can excuse crimes and abuse. Like you, I stand for the mothers robbed of their children, the raped, the bullied, the imprisoned and those damaged to the point where they still have no voice. I'm not a Catholic and I believe that the Catholic Church as an institution should, for the time being, have the decency not to issue statements on this matter and, since prayer is its business, to apply itself to silent repentance. But I want to hear the voices of the individuals who believed themselves, or members of their families, to be answering a call to serve a god of love and found that instead they were complicit in evil. Because part of the horror we face is that the crimes of the nasty repressive regime you describe were carried out by the children and neighbours of the people they intimidated, abused and humiliated and from whom they extorted money with threats. Hearing and understanding their stories is a necessary part of the process of drawing the poison from festering wounds and leaving us free to heal. I learned a lot from what you wrote too. But people won't talk as long as the Church has control of schools & hospitals. You won't hear their stories. They have kids in school or an elderly relative in hospital and they are afraid to say anything about the Church. They meet those who are responsible on a regular basis. It's harder to condemn people to their faces & way more so in Ireland. When I asked to choose what was read at my mother's funeral a few years ago, the priest mocked me from the altar. The gall of me for daring to suggest a gospel reading. No one said anything against him for doing that. They wouldn't dare. 'Ah shur, he's a grand fella and he didn't mean harm and shur you don't know the rules here so shhh now.' And I did. But part of me saw it as a victory and I knew my Mom would have been proud. But I saw my dad cowed by a priest when the man had just lost his wife he had cared for for years through her Alzheimers. I cannot ignore the harm I see. I go away for years and come back and see no change. They are still arrogant. We send them a message that they can do what they like when we let them away (literally) with murder. That's just wrong. Writing this down is therapy in a way. You have me very curious about cailíní aimsire and the children who were farmed out as workers. Child labor to add to the list of crimes. I wonder has anyone else stories of them. I was the last child but I know my mother had cailiní aimsire in to help her with my brothers when they were young. How much did the Church earn from that? In most crimes the best way of finding out who is most guilty is to follow the money. How many Guards did they say they had assigned? Two? Aaaagh! Go raibh maith agat as do theachtaireacht. I think your points about motivation, and about Church control of schools and hospitals, are central issues. There's also another element to the picture. Irrespective of denomination, or even belief in a god, human beings have a built-in requirement for communal rites of passage, and fora in which to enact them. We need places to present our newborn children to the community, celebrate their coming of age, demonstrate our commitment to partners, seek consolation and healing in grief and illness, and dispose of our dead with ceremony and reverence. In Ireland, across centuries, the Church as an institution has worked to ensure that churches have becomes the only accepted places in which to carry out these rites. Its appropriation and subsequent corruption by association of them, is, I believe, high on the list of its crimes against those it purports to serve; not least because many people now attend church weddings, funerals etc. in a state of ambivalence and suppressed anger which injects an unhealthy subtext into ceremonies that are vital to our communal and individual lives. There's hardly a family in Ireland that doesn't have relatives in religious orders, and many of those relatives are now old. This seems to be part of the reason for the 'shur he's a grand fella and he didn't mean harm' reaction. People instinctively feel that old age requires respect, and that criticism of a priest in some way implies criticism of members of families and communities who, by continuing to be practicing Catholics, appear to endorse his authority and right to be respected. I have no relatives in religious orders, I'm no longer a Catholic, and I spend much of my time out of the country, so perhaps it's easy for me to say this, but I believe we must challenge Church control, regardless of the respect we may feel we owe to individuals, communities or to the aged. Still, it's complicated. Maybe part of the answer lies in the fact that church buildings were largely financed by collections from the communities they were intended to serve. Perhaps, instead of walking out of churches, we should crowd into them whenever we feel we want to, and begin a process of reclaiming them? You say that, in a way, writing your comment was therapy. I think that's another central issue. In order for us to heal as a society, all the stories must be told. The troubled, complicated, unthought-through ones as well as those that make horrific tabloid headlines. And among them, I'd suggest, we need to hear the difficult, hard to tell stories of those priests, nuns and brothers whose arrogance and cruelty had roots in their own fear, ignorance, stupidity, or sense of being trapped and overwhelmed by circumstances they couldn't control. I think what puzzles me most is that no one ftrom the Order can be found who 'remembers' why these babies were buried where they were. Every institution has its own justifications, or even reasons, for how it behaves, so the sisters will have had their own explanation for burying them where they did and why. I am not suggesting what was done was acceptable or even legal, but I think the remaining mothers and families have a right to know. Thanks for your comment, Peter. I think that many of us feel as you do. If the apologies offered by the Church were to mean anything, transparent efforts should have been made at once to provide explanation - and, in particular, information - to those affected, and to their families. The fact that such explanations and information weren't offered to begin with, and that, as individuals and as a society were are still seeking and being denied them is outrageous. So, in my opinion, is the fact that, while closure is still withheld from those who suffered, the hierarchy and individuals within the religious orders continue to publish arguments that attempt to justify what happened.